Paul Oscar Beuselinck started his career as a singer, though not one with much success in the American market. In his native UK, though he did not burn up the charts there either, he did attract the attention of producer Robert Stigwood, who signed him to his record label and also cast him in the UK productions of Hair and Jesus Christ Superstar. By this time, Mr. Beuselinck was using the stage name Paul Nicholas, and he parlayed his early success into further roles on stage and screen, including multiple movies produced by Mr. Stigwood. However (according to the October 22, 1977 American Top 40, per Wikipedia*), on coming to America to audition for a production of Hamlet and not being selected, Mr. Nicholas apparently decided to make more of a name for himself through the music charts. Now with RSO Records, Paul Nicholas released his eponymous debut album. The reviews, sad to say, weren’t stellar, with one review calling some of the songs on Paul Nicholas “ridiculous” and “unremarkable”, probably not a great combination. Record buyers in his native UK seemed to like the songs, though, sending three of them into the top 20 of the UK Singles Chart. “Heaven on the 7th Floor” has a rather simple story to it. Our hero is presented with his dream girl (du jour?) in the elevator lobby. He makes a quick pass at her as they enter the elevator and gets unceremoniously shot down. Then the elevator gets stuck, trapping him and Dream Girl together for however short a time. And that’s pretty much it. He and Dream Girl don’t actually get together, except in his overactive imagination. I could criticize the protagonist’s choice in women. Now, my view of the dream woman is colored by the fact that 40-something years have passed since this song came out, but does she have to depend on him to get them rescued from a stuck elevator? And why would he want to get with a woman who dismissed him instantly (and rather harshly)? Yes, part helpless victim, part ice queen: is this woman worth his time? Maybe not. Maybe that’s a failing on our hero’s part. Despite the lyrics of this song, in which the two, um, total strangers get together only in the mind of the guy, this song is catchy. To be perfectly frank, in my opinion, the music is one of the bounciest and best disco tracks of 1977. It takes a silly little elevator breakdown non-story and makes it into a song that I want to listen to, even today. “Heaven on the 7th Floor” entered Billboard’s Hot 100 at #79 for the week ending August 20, 1977 (chart). After a fairly slow (for its time) climb up the charts, it finally peaked, in its 15th week on the chart, at #6 (chart | magazine). Amazingly enough given the single’s age at that point, it held at #6 for two more weeks before taking a 15-position drop in week 18. It managed to hang on the charts for five more weeks before finally dropping off in early 1978. The timing of its peak success kept it off the year-end charts of either 1977 or 1978, since it was right near its peak when Billboard started counting chart weeks toward the next year. It did, however, manage to cross over onto the Easy Listening chart, where it peaked at #23 for the week ending October 29 (chart | magazine). 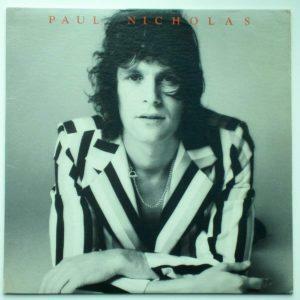 Paul Nicholas had one more charting single, On The Strip, which hit the Hot 100 in the summer of 1978, but it peaked at #67, and so I feel justified in classifying him as a one-hit wonder, and a forgotten one at that. But fret not for Mr. Nicholas: though his pop career was short-lived, he has been acting fairly consistently either on screen or stage since then, and a company he co-founded has produced a lot of stage shows. And how forgotten is that pop career? Amazon doesn’t, as of this writing, have any digital versions of any of Paul Nicholas’s music apart from “Heaven on the 7th Floor”, and that’s only available as part of a compilation album. Of course, it goes without saying that “Heaven on the 7th Floor” hasn’t gotten many, if any, spins on American terrestrial radio for a long time. * I’m violating my own policy by linking to Wikipedia, but unless someone produces a transcript of the 10/22/1977 AT40, this is the best reference I have for this.